One of the best things about marrying into an Italian family is the food. Italian stereotypes? Forget about it (said in my best wiseguy voice). But really, my in-laws can whip up some of the best tasting food that’s perfect for sharing with family and friends. With hot weather here and busy summer schedules, I’m focusing on making healthier and fresh tasting meals. 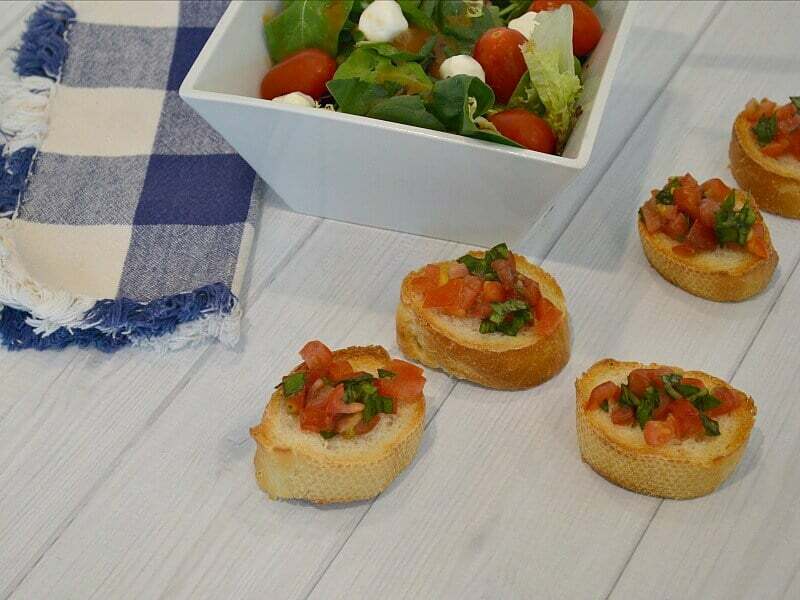 This easy bruschetta recipe takes advantage of garden fresh vegetables that are available in abundance right now. 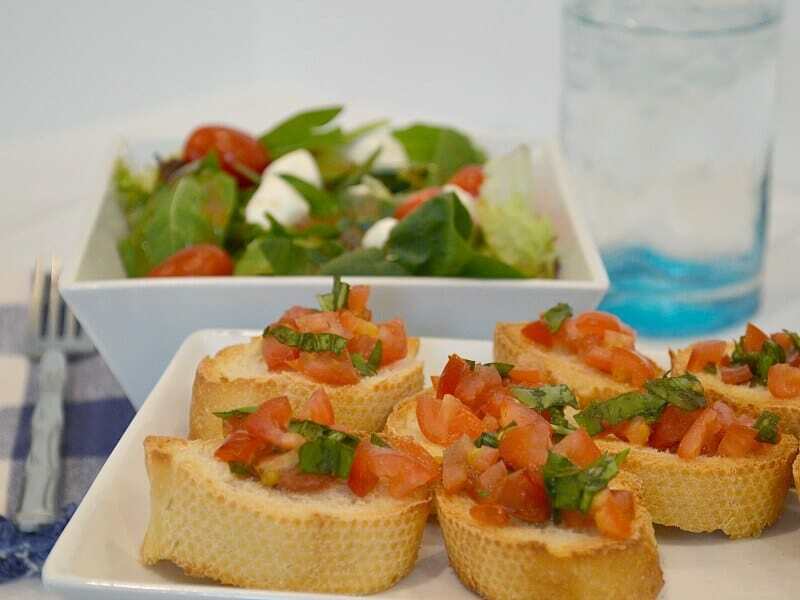 I love pairing bruschetta with a salad to create a healthier and easy meal for any busy summer day. This is a busy, busy summer for my family. My “babies” are now in their tween and teen years. Even though it’s crazy busy, I try to make time each day to have lunch with whichever child is available. I realize that I need to make the time to enjoy time with them now while I can. 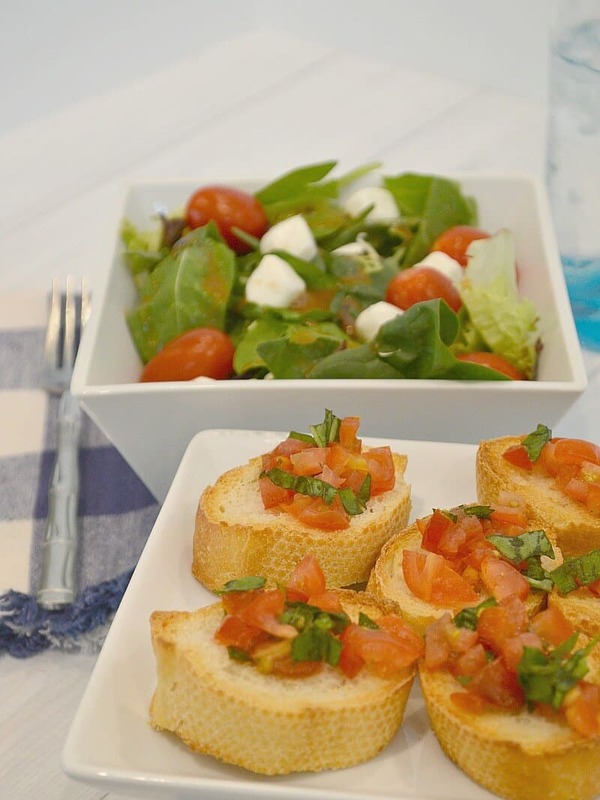 Sharing a fresh salad and bruschetta is one of our favorite lunches to enjoy together. We have a wonderful neighbor that is sharing the bounty from her garden with us. That means that we have the straight-from-the-garden fresh tomatoes and basil and that is the key to making amazing bruschetta. The times that I don’t have garden-fresh produce available, I simply pick up an extra Ready Pac Bistro Bowl Caprese Salad (one or two to eat and one to make the bruschetta) and use the tomatoes from the Bistro Bowl. 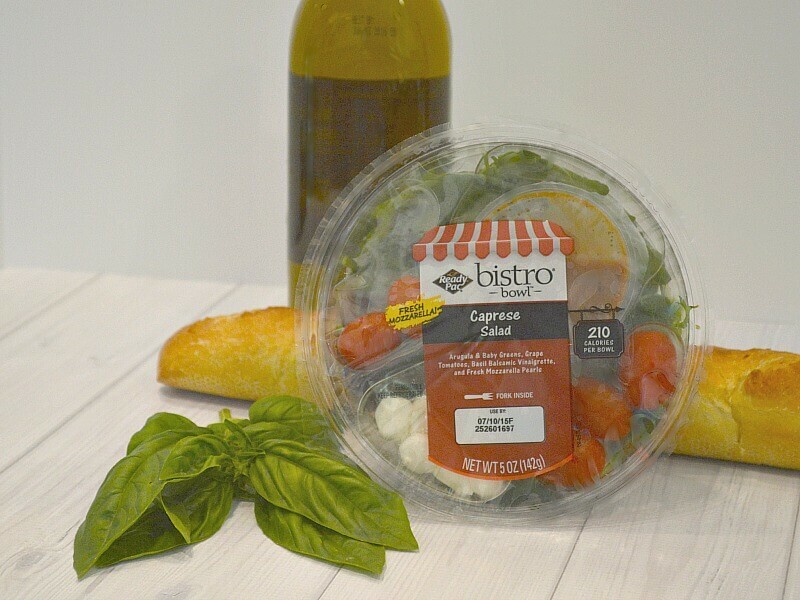 While I was out running errands, I popped by Wegman’s where I knew I could pick up a couple of Ready Pack Bistro Bowl Caprese Salads because they go perfectly with my easy bruschetta. 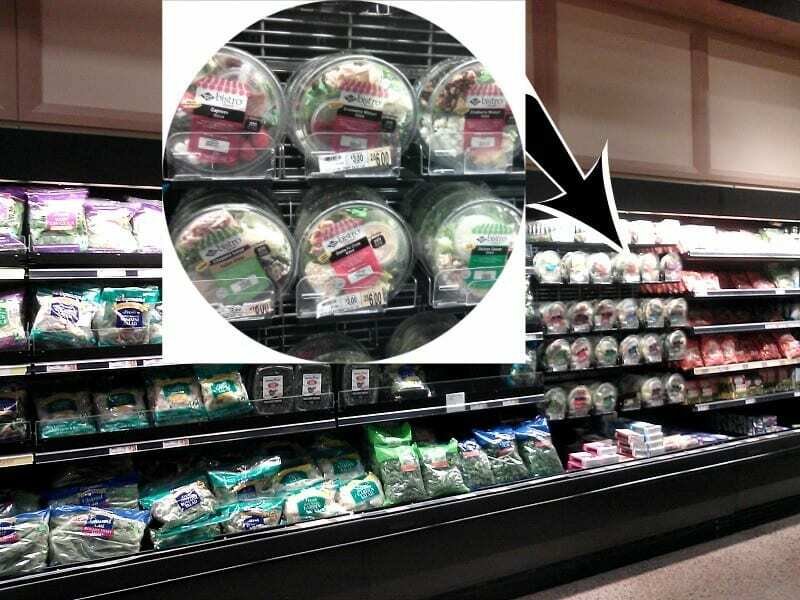 I found them in the produce aisle near the bagged salads. You can gather more creative ideas from Ready Pac on Facebook and Pinterest. I’m a little embarrassed to tell you how easy this bruschetta is to make, but it’s so delicious and so easy to make that I just have to share the recipe with you. 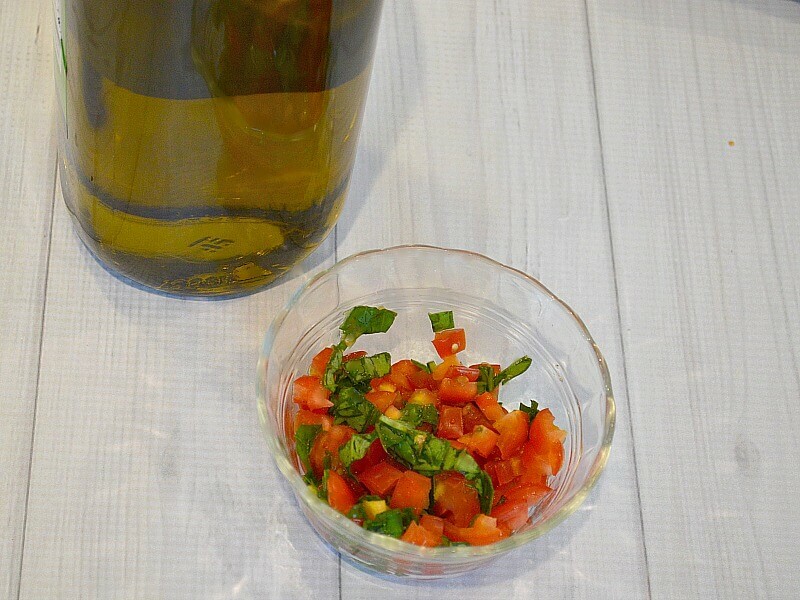 Mix the chopped tomatoes, basil and olive oil. You can serve it immediately, but it’s best if you let it sit 30 minutes or more. Toast the bread and spoon the tomato mixture onto each slice. In minutes I had the perfect side to go with our salad for lunch. 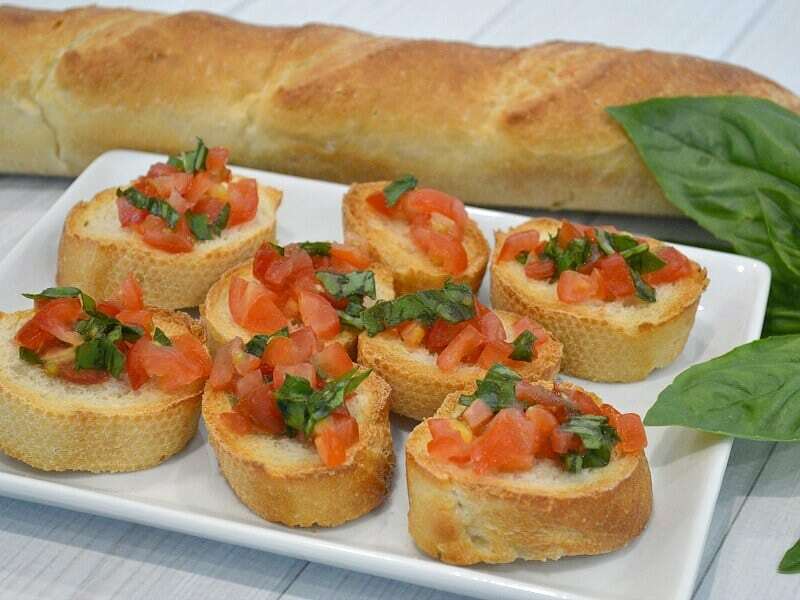 This fresh and easy bruschetta makes a great appetizer for a party, too. Who would you like to share lunch with? 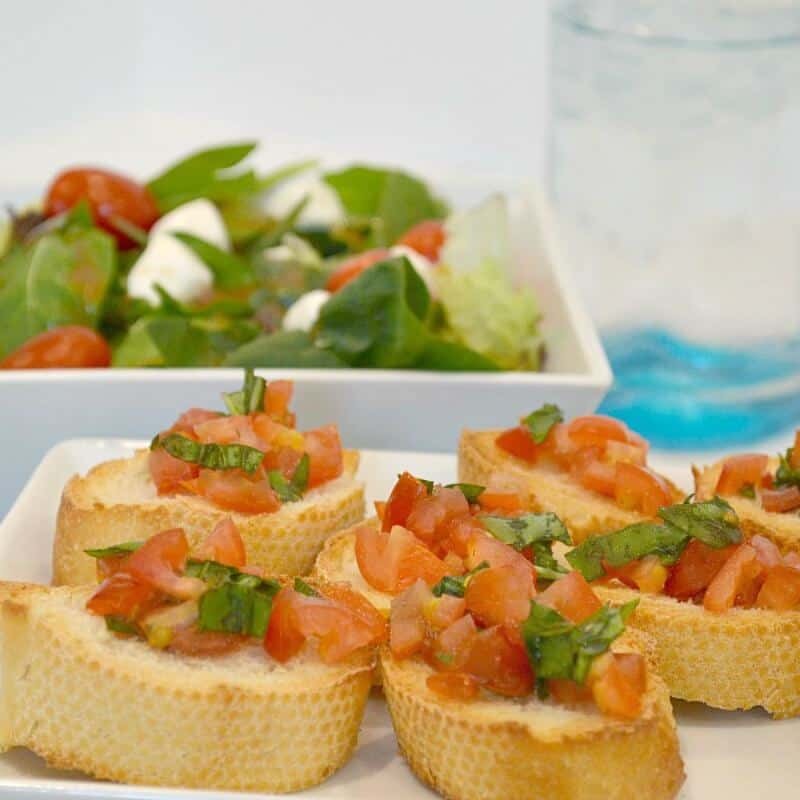 Enjoy a couple of Ready Pac Bistro Bowl Salads with this fresh and easy bruschetta and enjoy sharing lunch with your special person. I love having fresh meals like this in the summer (or any time really). I really have not seen these at Wegmans before, but I will have to look for them. Great selection! I am envious that you have a gardening neighbor who is willing to share.